When I hear the word Bali, the first thing that comes to my mind is relaxing and beautiful beaches. This is exactly the image I had before visiting Bali in December. 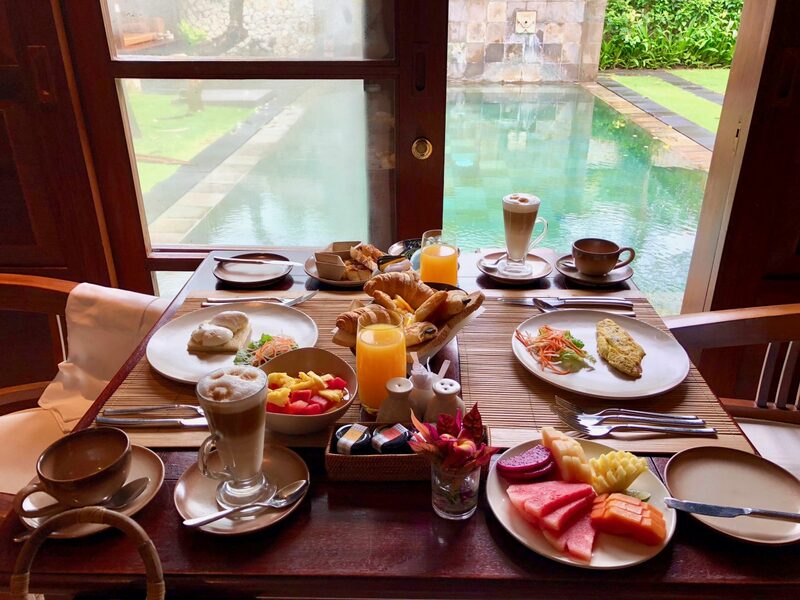 For the first half of our trip to Bali, we stayed in Ubud, which is heaven on earth—a beautiful place in central Bali that is famous for rice fields, temples, traditional crafts and the monkey forest. 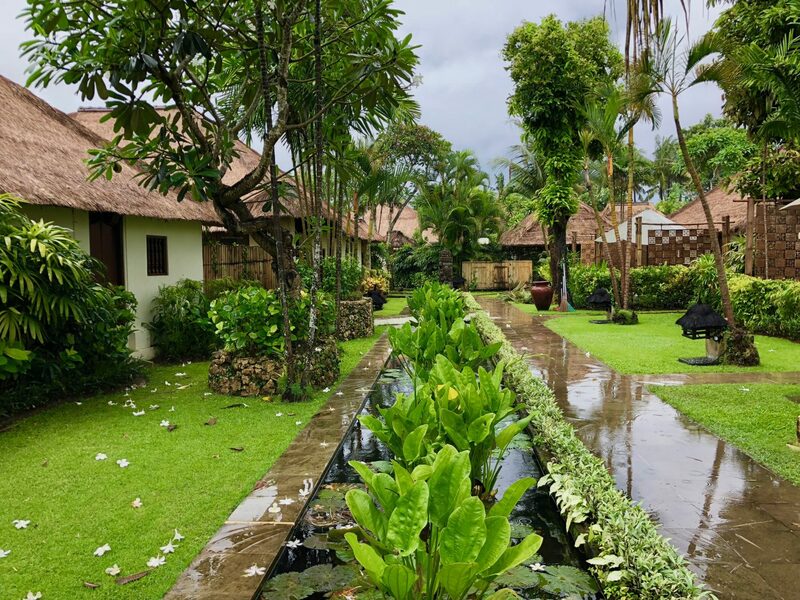 After a couple of days exploring/walking, climbing and riding, the second half of our stay was spent relaxing at a resort in south Bali for a few days before heading to Vietnam. We wanted a place close to the airport with beautiful beaches. Jimbaran is a fishing village and coastal resort south of Kuta on the Indonesian island of Bali. Jimbaran Bay has a long beach with calm waters. It’s lined on one side with fish restaurants and on the other with a tropical forest. At its northern end, colorful boats are docked by the lively, open-air Kedonganan fish market. Southwest of the bay are Dreamland Beach and Balangan Beach, both known for their strong surf waves. Belmond Jimbaran Puri is a beautiful resort in south Bali (Jimbaran), and it’s on a beautiful golden sand beach. 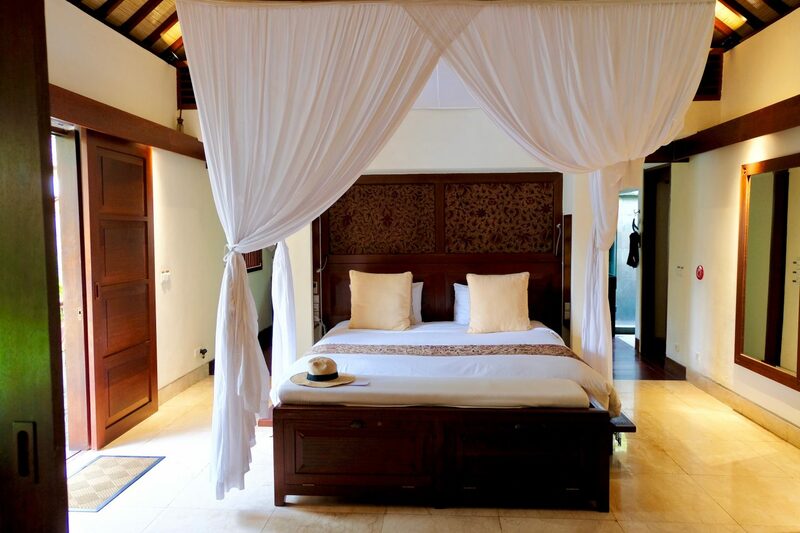 The resort has various types of Villas built from local materials such as bamboo, teak and alang-alang thatching. Each Villa has a beautiful pond with water lilies in front of it that gives it a real welcoming feel. Upon our arrival, we were welcomed by a traditional Balinese ceremony, Ring the big bell, which welcomes new guests to any Balinese village. We also had a very smooth and speedy check in, and the staff kindly helped us with our luggage. They showed us our room and then explained to us all the activities the resort provided to guests for free. 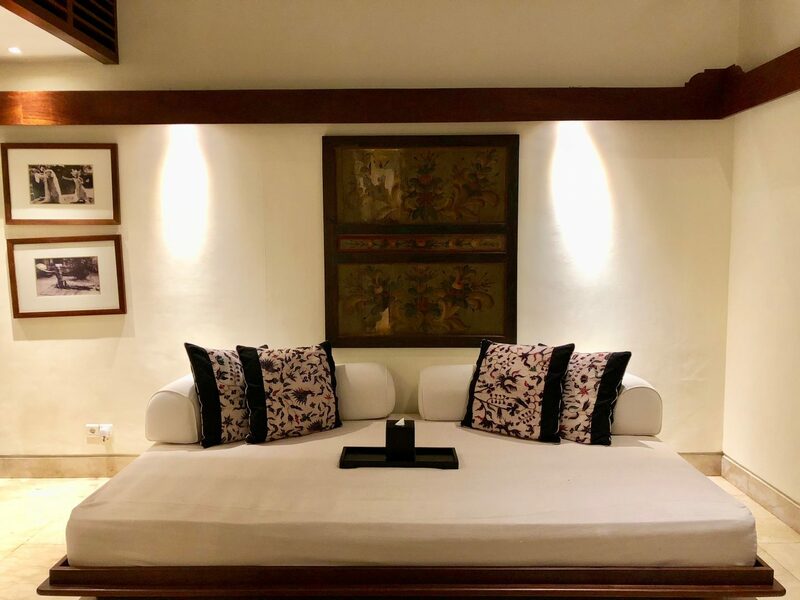 We stayed in a One-Bedroom Deluxe Pool Villa. It was spacious with a separate bedroom, dining room, and a bath bedroom. 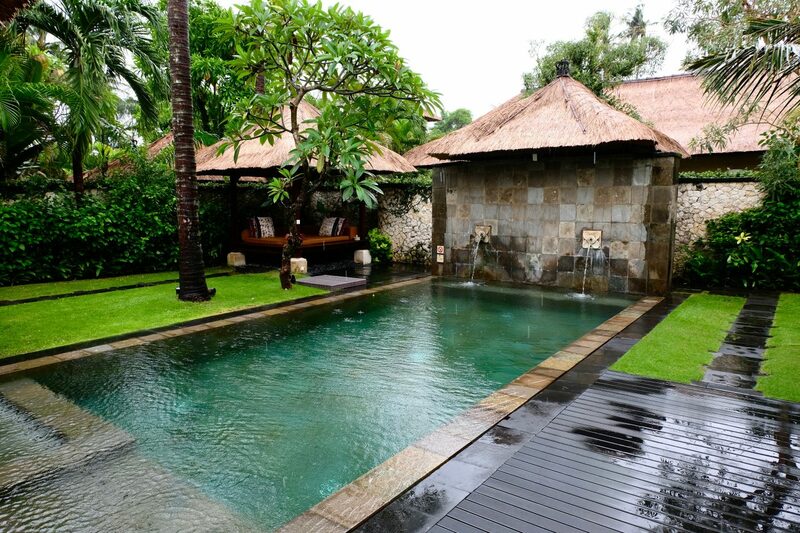 We also had a beautiful private pool and a garden to enjoy. We had everything we needed inside the villa such as a fridge, a Nespresso coffee machine, TV set and mini bar. We also had fresh Balinese fruits delivered to our room daily. 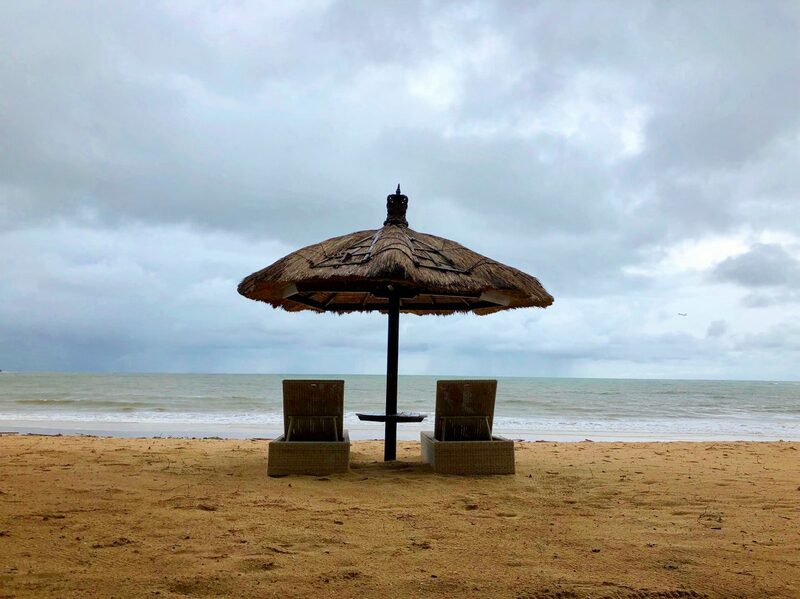 I highly recommend Belmond if you are looking for a place to relax that is next to the beach and has fantastic food all in one place. You won’t have to leave the resort at all! These are some of my photos from our Villa. The Villa also had a massive bathroom with a beautiful bathtub and two separate washrooms. 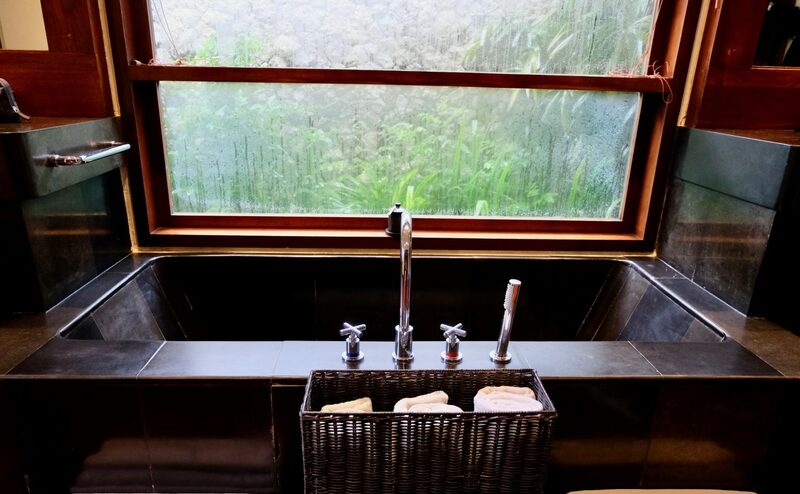 What I particularly loved about our villa was the outdoor bathroom in a beautifully designed back garden. 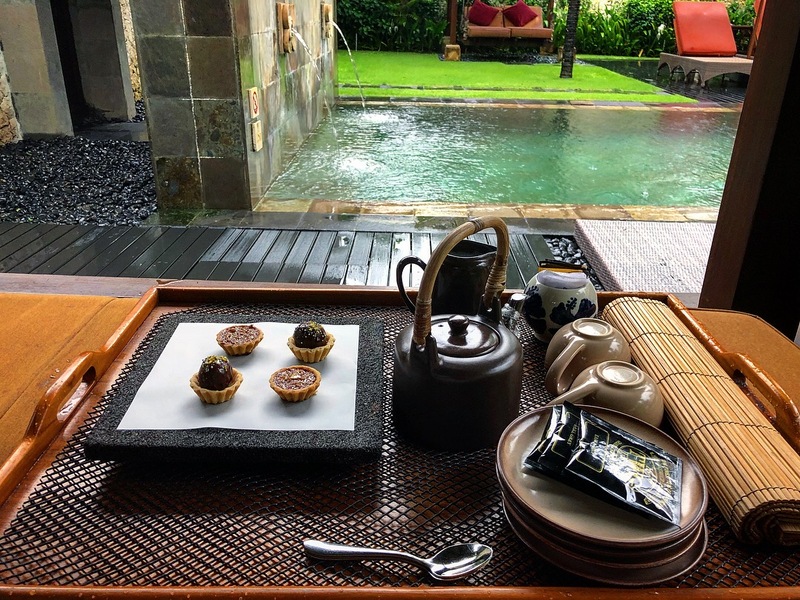 Belmond provides afternoon tea (free of charge) every day from 3-5 pm, and they will bring the tea set to your villa to enjoy either in your living room or in the beautiful garden. 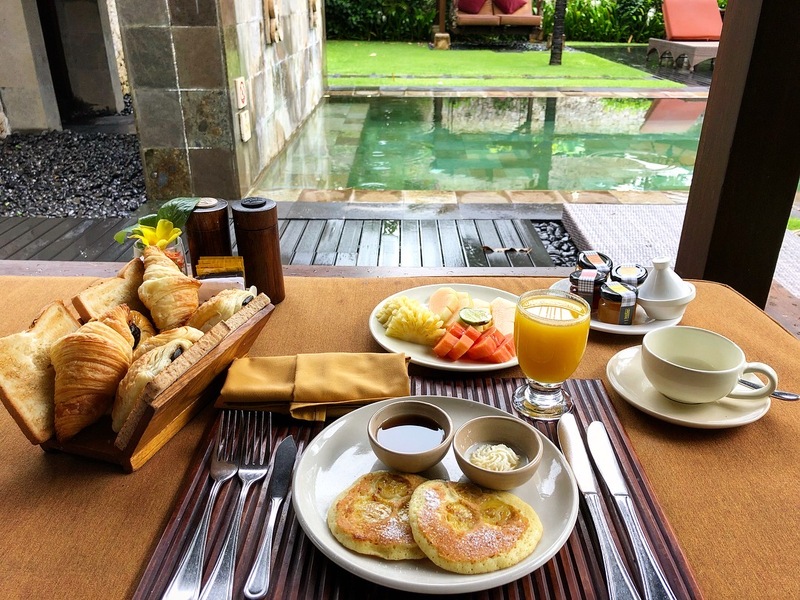 One of the most unforgettable memories from Belmond was when the staff set up the most amazing breakfast table in our room or in the garden by the pool. Life doesn’t get much better than this! You will be provided daily with a comprehensive list of items for your breakfast. You can choose anything from the menu and hang the list on your entrance door. The list includes eggs, bacon, and sausages, as well as fruits, cereal and bread with various toppings. I highly recommend trying banana pancakes with golden syrup and fresh cream. As you might know, Bali is famous for its coffee. 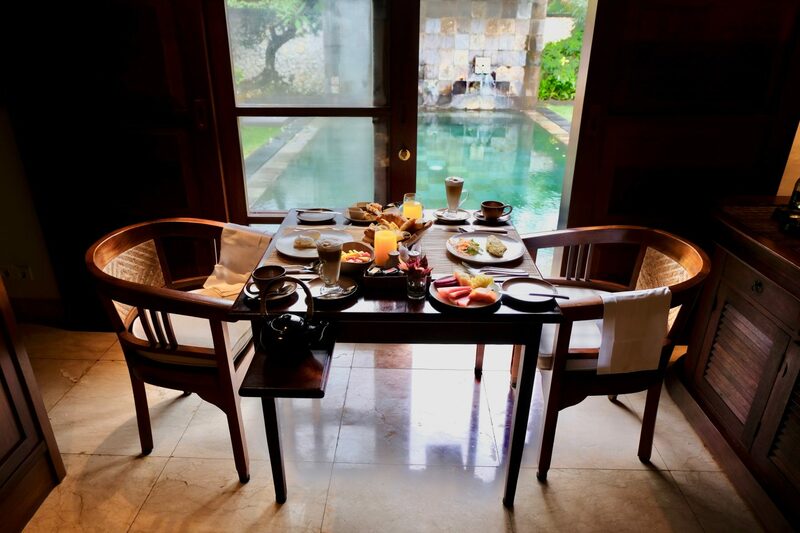 Make sure you order Balinese coffee as part of your breakfast. 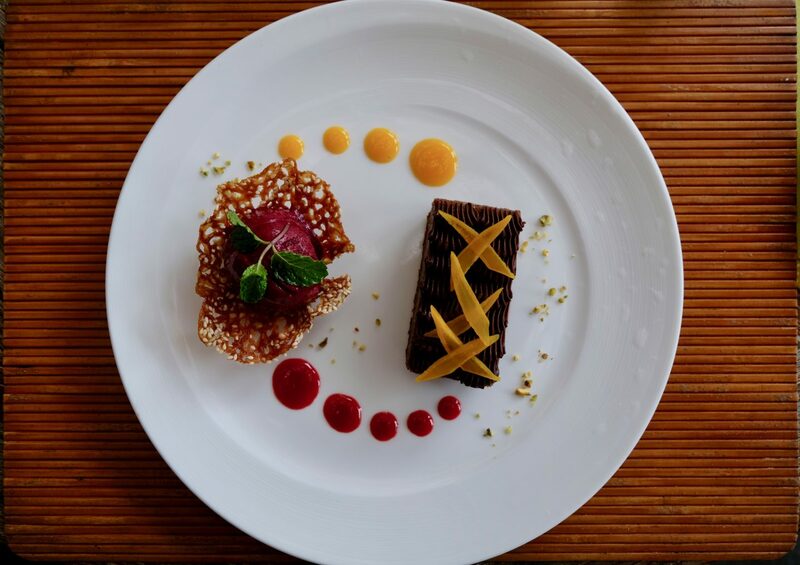 There are two in-house restaurants in Belmond Jimbaran resort, and they provide fresh locally sourced food in a fantastic location next to the beach. You have a variety of choices from fresh seafood, stews and even few Western dishes such as burgers and steaks. 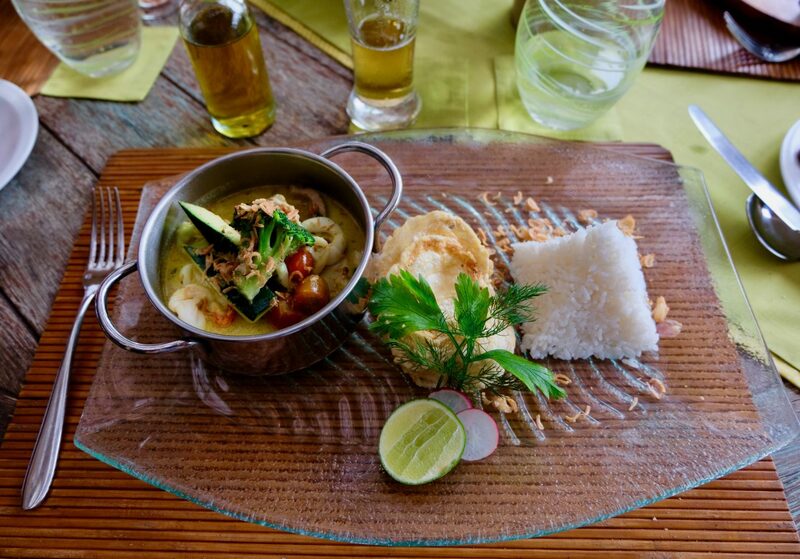 One of the dishes we tried during our stay included an Indonesian fish curry that I definitely recommend. The spa service is one of the highlights of this resort. 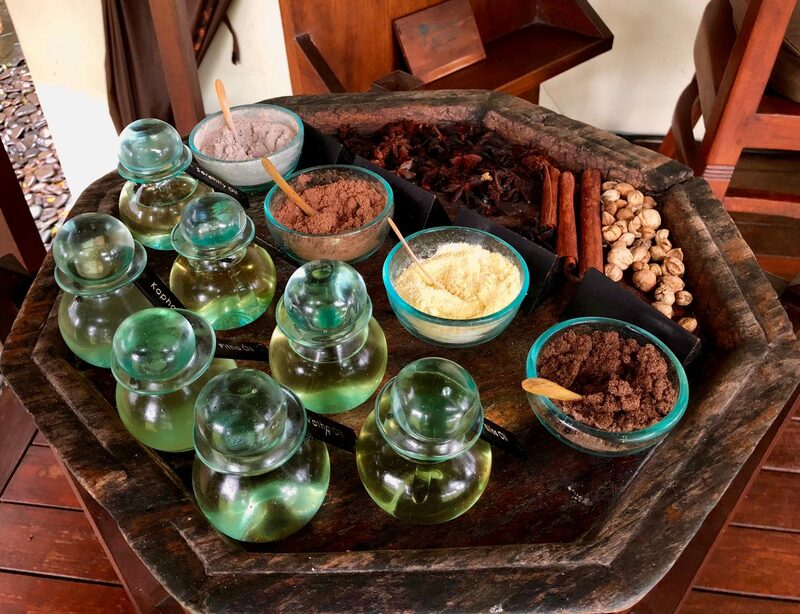 They will take you through an informative process that explains the herbs and spices that can be used, and then you have the opportunity to make your own SPA oil. 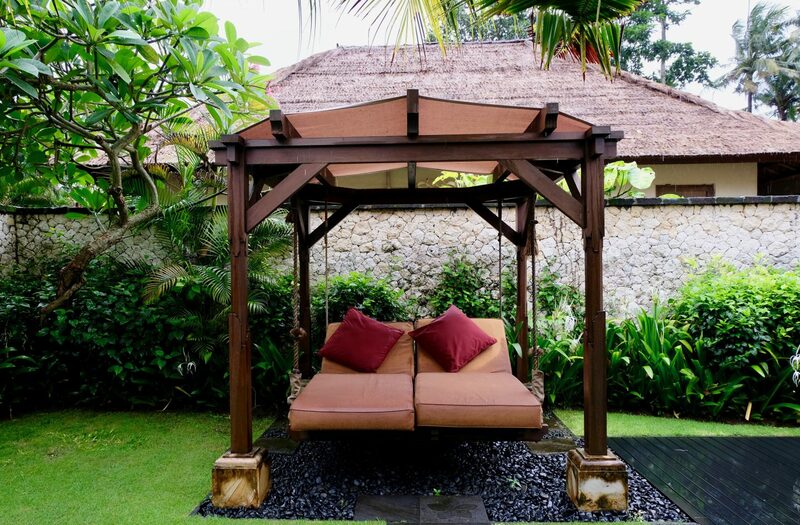 They offer different types of massage, but the Balinese massage was my favorite. 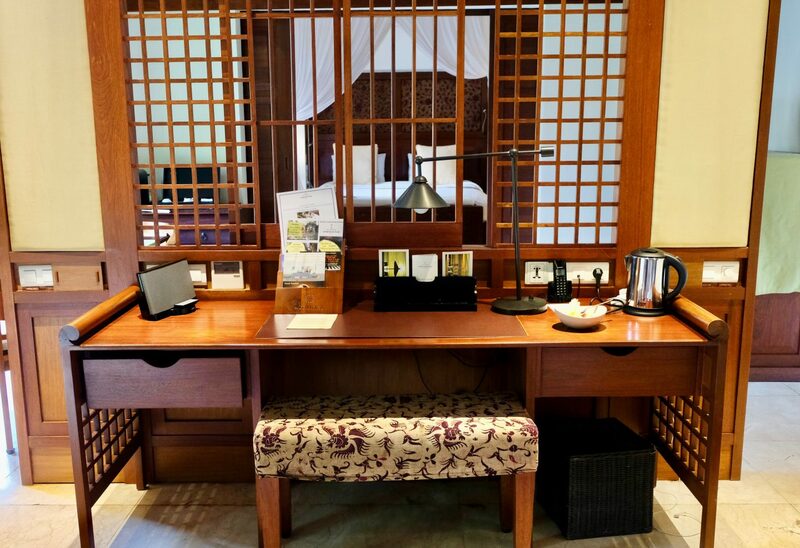 Belmond Jimbaran Puri is a 20-minute drive from the airport. You can ask the receptionist to book a car for you or you can reserve a car to pick you up upon your arrival.